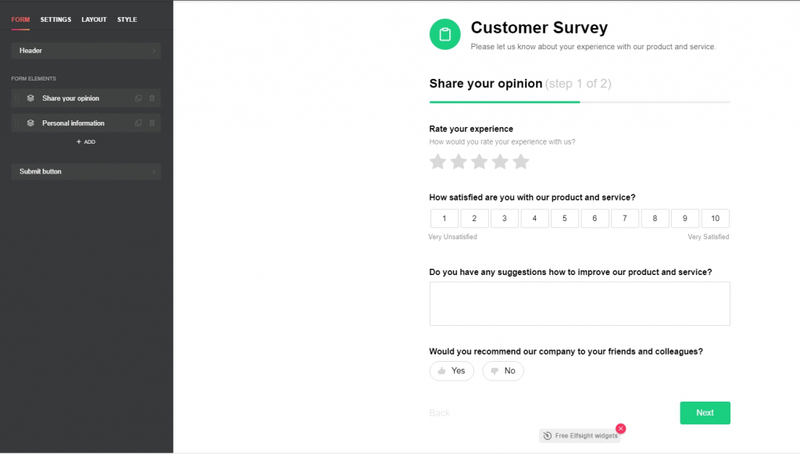 Creating your own form on a website used to be a difficult task, but now, with all the form-building widgets it’s getting easier to do. 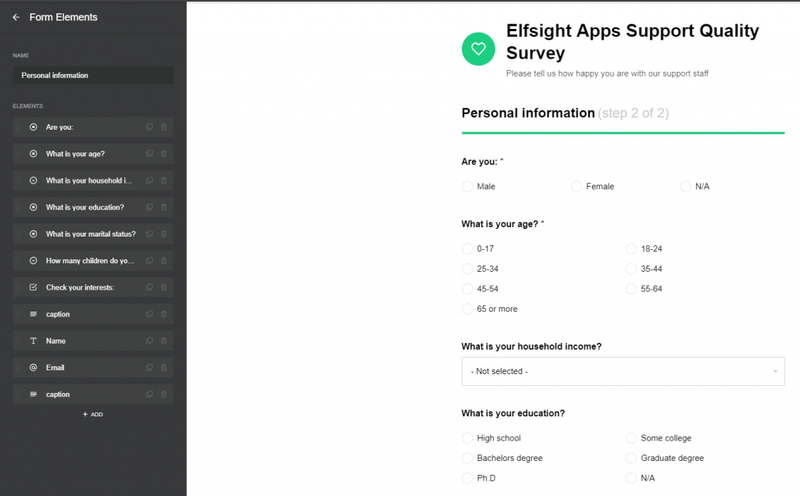 One of the latest, most capable and simple widgets is our own Elfsight Form Builder widget. Most of the settings are easy and intuitive, but there is a couple of tricky moments. Let me walk you through the most basic steps by looking at the settings tabs, one by one. Hopefully, this will help you get started. The first thing you need to do when you start creating your own form is to select a template for it. 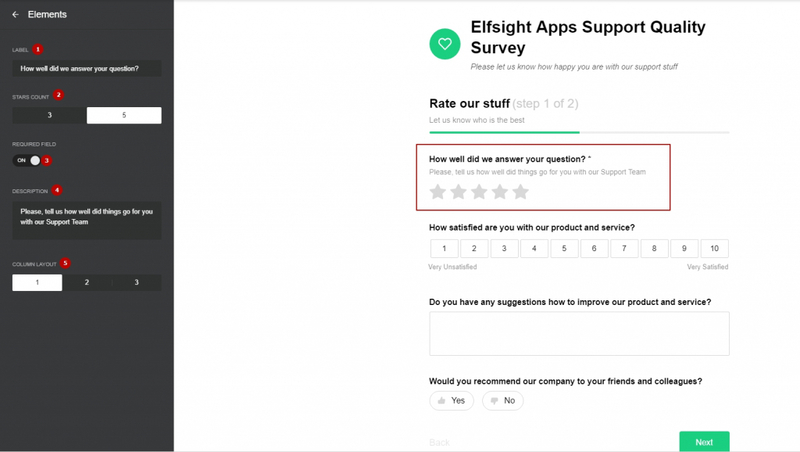 As you can see, we have tried to think of as many use-cases as we could, and we created templates for a contact form, an online survey, for sending a feedback and a booking template. We also have a blank template that you can use to convert to any form you like. 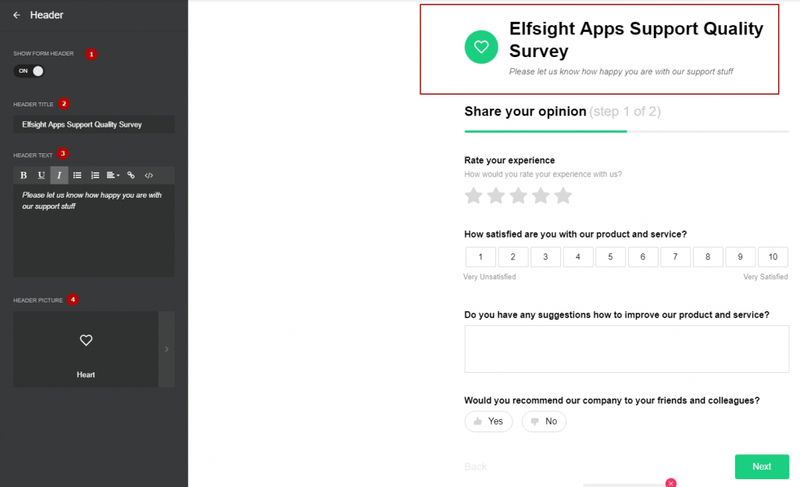 Let’s take the Survey template as an example, and check each element to see how exactly they can be adjusted to fit your specific use-case. 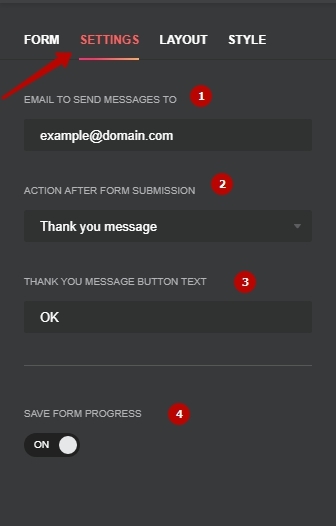 What this settings tab basically does is let you fill in the content of your form – questions, answer options, information that you need to request. Change header icon – 4. Next, let’s see what we can do with the form elements. Click on Share Your Opinion element in the left-hand menu to go to the editing screen. 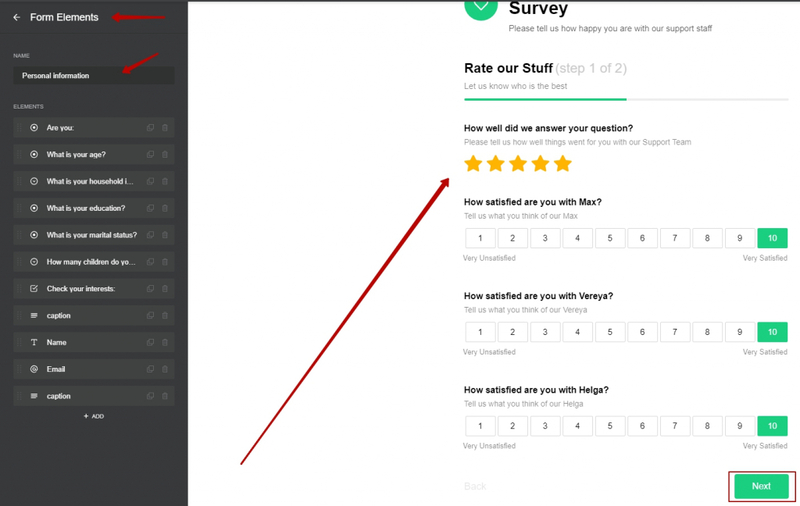 On this screen you can change the name and the description of the survey in corresponding fields. This is about the easiest part here. You can duplicate, remove or add any form element. To duplicate, click on the Duplicate icon next to the name of the element, to remove – click on Remove, and to add an element – click on Add button below the list of elements. Change the column layout of the field – 5. 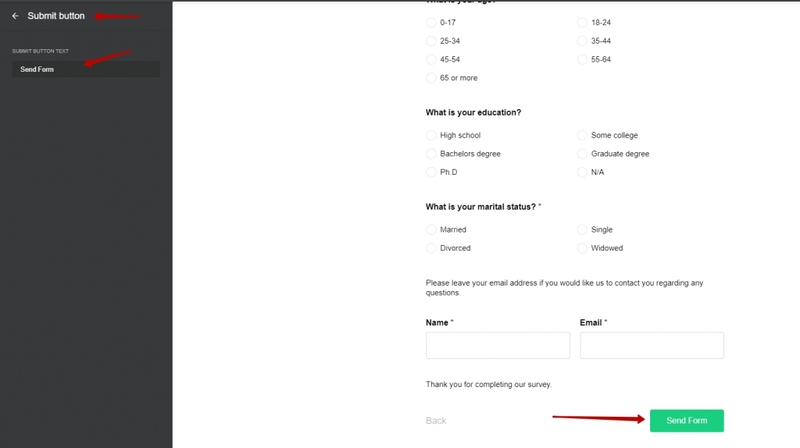 So basically, with the Survey template, each form element is in a sense a separate step. 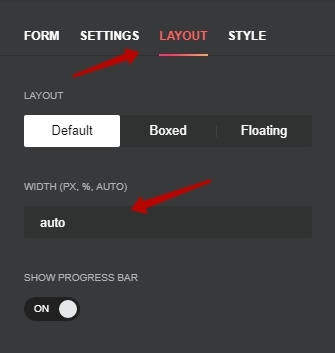 Make all the changes in the same way as you’ve edited the first form element and return to Form tab. 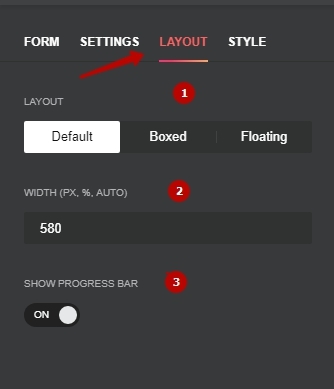 Save all the changes you’ve made by pressing Apply, and move on to Layout tab, to adjust your form display on the page. Activate/deactivate progress bar – 3. Width field is a very important one. By default, the width is set to 580 px. However, if you need your form to be mobile responsive, you need to set widget width to auto. In this case the widget will automatically calculate its width according to the size of the screen it’s browsed on. Important!!! For better mobile responsiveness, set the widget width to Auto! It’s important to know where the CSS field is located in the settings! CSS are small bits of code that are often used to make individual changes to a widget. If you require any specific widget customization, chances are that you’ll be doing it via CSS. So to make these codes work with your widget, you need to add them to Custom CSS field and save the changes. I hope this article’s helped you find your way around the Form Builder app. Remember, that we’ve used just one of the available form templates as an example. The others are a bit different, and have different controls and fields, but all the templates work in the same way, and so this article should be good for you.